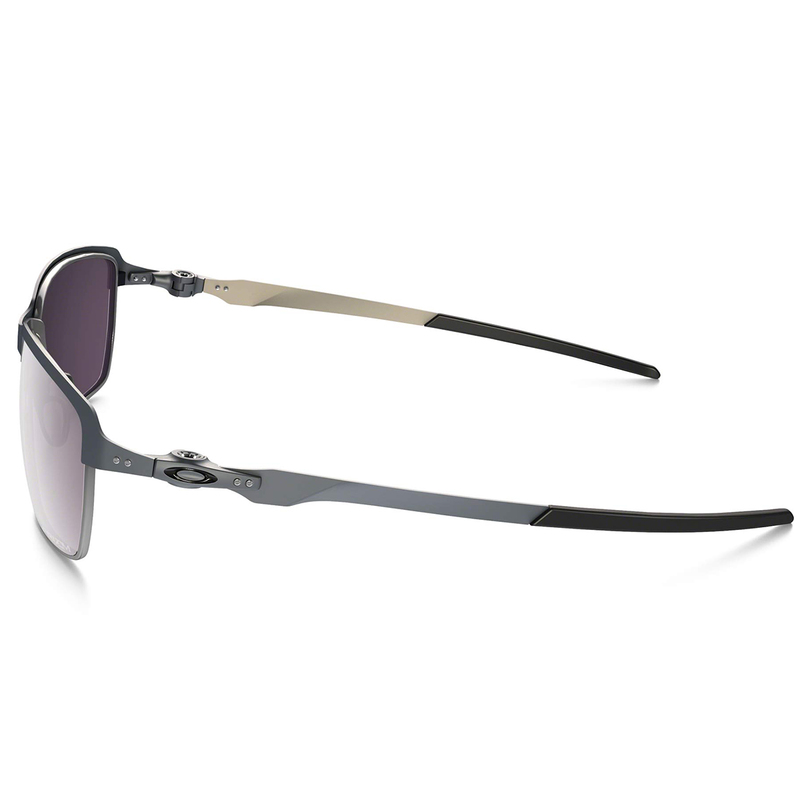 Industrial design meets smooth sophistication with these fantastic Oakley Covert PRIZM Daily Polarized Tinfoil Sunglasses. These glasses feature lightweight stems of stress-resistant carbon fiber combined with a thin profile of stainless steel. This produces a truly stand out frame with features that really enhance the longevity of these sunglasses. A hollow hinge design inspired by hubless motorcycle wheels, it features a self-contained spring cam and an internal piston. The hinge architecture has been reduced to its essential parts for a sturdy design with minimal weight. Unobtainium® is a soft hydrophilic synthetic and it increases adhesion when wet to grip better when you perspire. This makes it ideal for earsocks and nose pads in performance eyewear. Three-Point Fit is a patented innovation that ensures the frame makes contact only at the bridge of the nose and the sides of the head. It holds lenses in precise optical alignment with a secure fit that eliminates the pressure points common with frames that hook the ears. 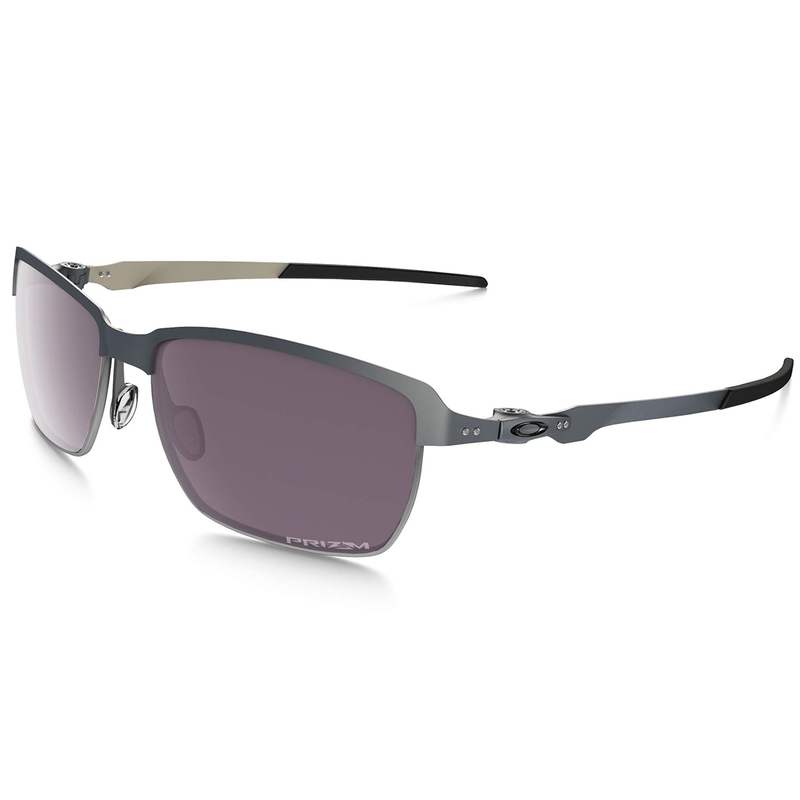 This durable material lets Oakley engineer frames that offer superior comfort with flexibility and ultra-low weight, and it allows them to create rare aesthetics for unique styling in premium frame design. Backed by decades of innovation, Oakley performance eyewear offers uncompromising protection against high-velocity and high-mass impact. 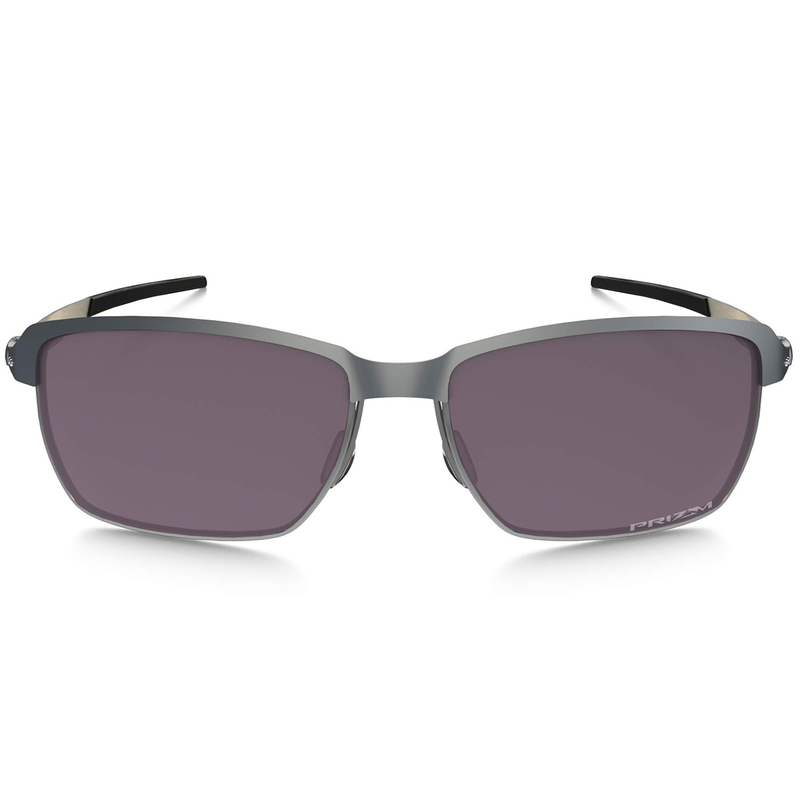 The protection is a benefit of the premium materials and unique architectures of Oakley lens/frame combinations. Eye damage attributed to ultraviolet light includes cataracts, pterygium and macular degeneration. Their Plutonite® lens material filters out 100% of all UVA, UVB, UVC and harmful blue light up to 400nm. The protection is from the lens material itself. Plutonite® is one of the most optically pure materials used in the creation of eyewear today. It optimises the clarity and impact resistance of these glasses while also filtering out 100% of all UVA, UVB, UVC and harmful blue light up to 400nm. High Definition Optics® (HDO®) is a collection of patented technologies that allow Oakley eyewear to meet or exceed the testing standards of the American National Standards Institute for optical clarity, visual fidelity, and impact resistance. A revolutionary lens technology that fine-tunes vision for specific sports and environments. Prizm Daily Polarized lenses reduce harsh glare and allow you to see the world in dynamic high-definition. 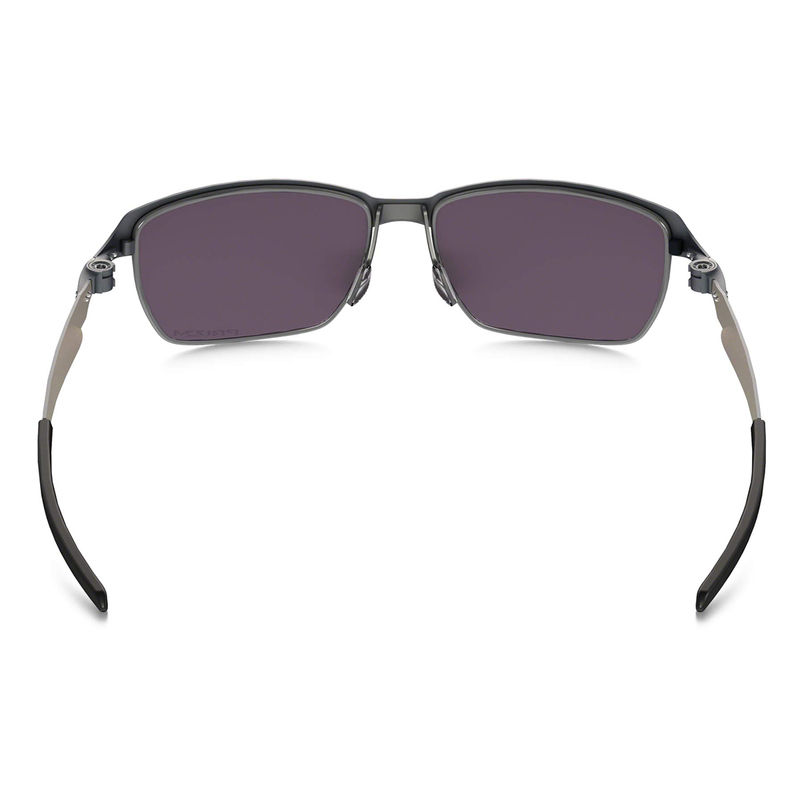 Improving safety, comfort and performance, Oakley HDPolarized lenses filter out 99% of reflected glare without the haze and optical distortion that can come with polarized lenses made with conventional manufacturing techniques.